The term "Centerline" is commonly used in fitness, sports and Martial Arts when discussing the techniques involved in maintaining balance, both physically and mentally. 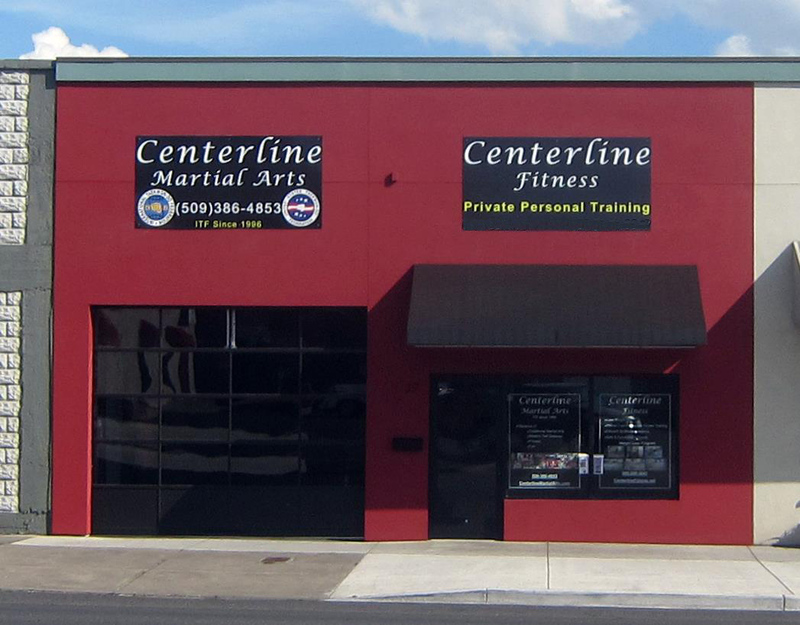 Our goal at Centerline is to promote a balanced, healthy lifestyle through the practice of the Martial Arts. 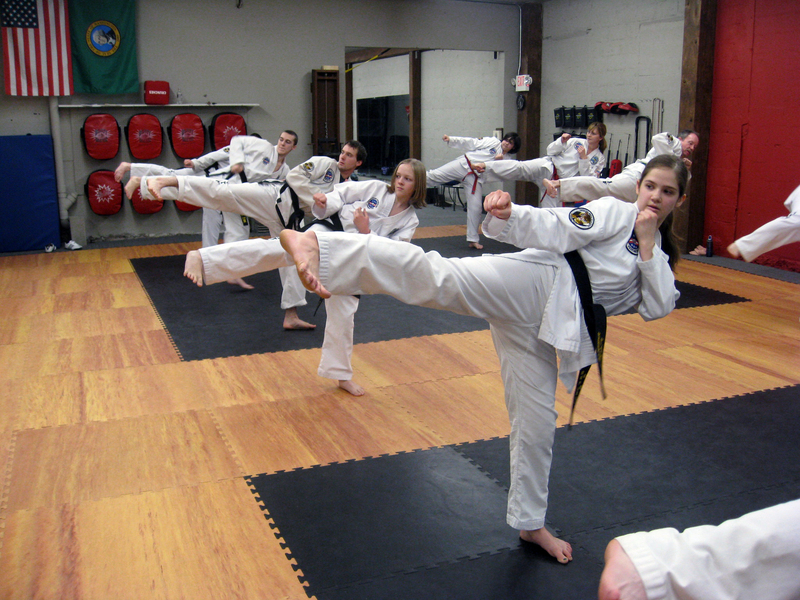 We have been training/teaching ITF (Cha'ang Hon) style Taekwon-Do since 1996. ITF style is the original form of the Martial Art created by South Korean General Choi Hong-Hi (1918-2002). 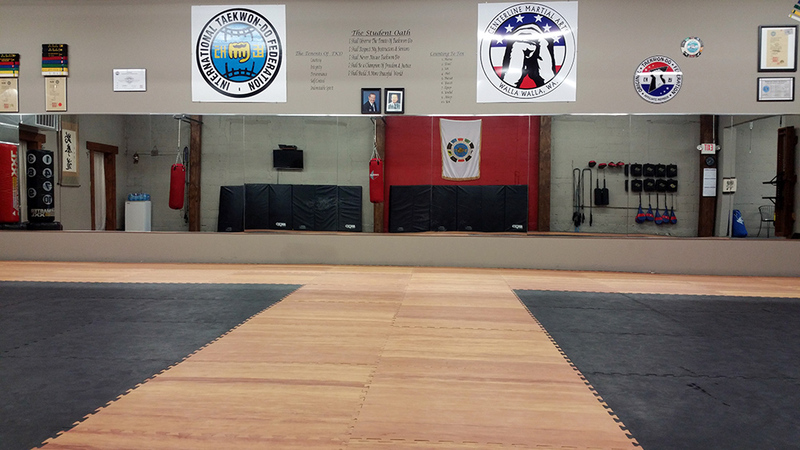 Promoting a balanced, healthy lifestyle through the practice of the Martial Arts. 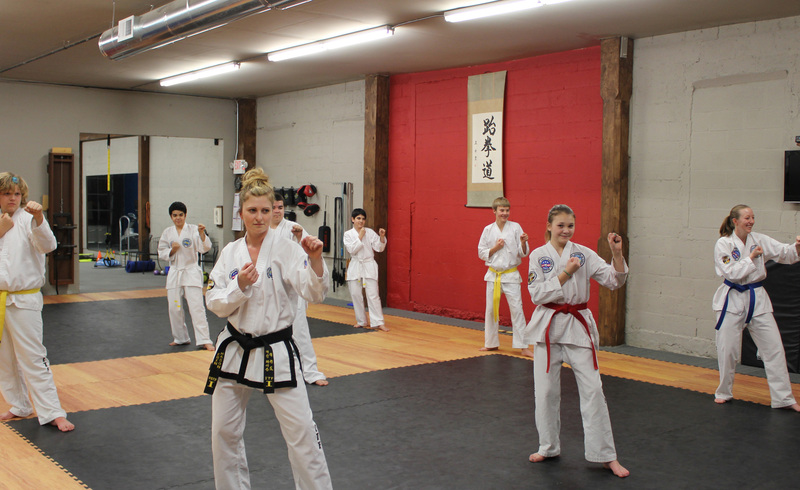 Instructors Mr. Mike Glencross, Mr. Andrew Glencross, Mr. Platner & Mrs. Mason with Color Belt testing group.